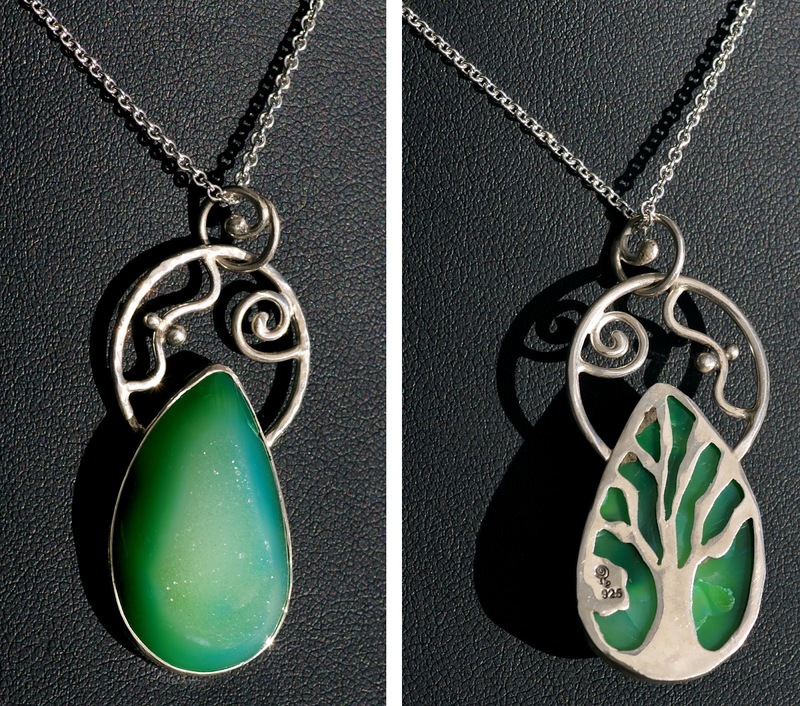 Stunning Silversmithing Combining Stones & Artistic Settings. Passion for Precious Metals, Gemstones & Jewelry Technique. I've come across many a jewelry maker and silversmith in my day, but what never ceases to amaze me is how unique the really talented ones are. There is always something that stands out about their style and differentiates them from the countless others. 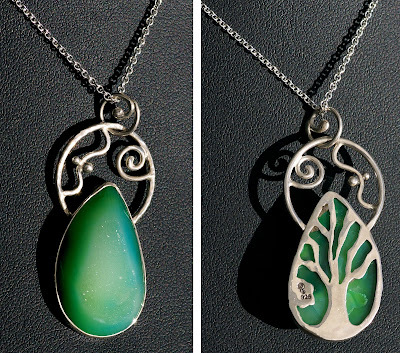 Take Lacy for example of Dalton Designs who creates beautiful wearable art from simply silver and maybe a stone or two. That's not to say that her art is simple. Part of the skill is in making it look flawless no matter how many steps it took. Lacy uses a variety of techniques from more traditional cutting, shaping and soldering to lost wax for more organic and flowing forms. 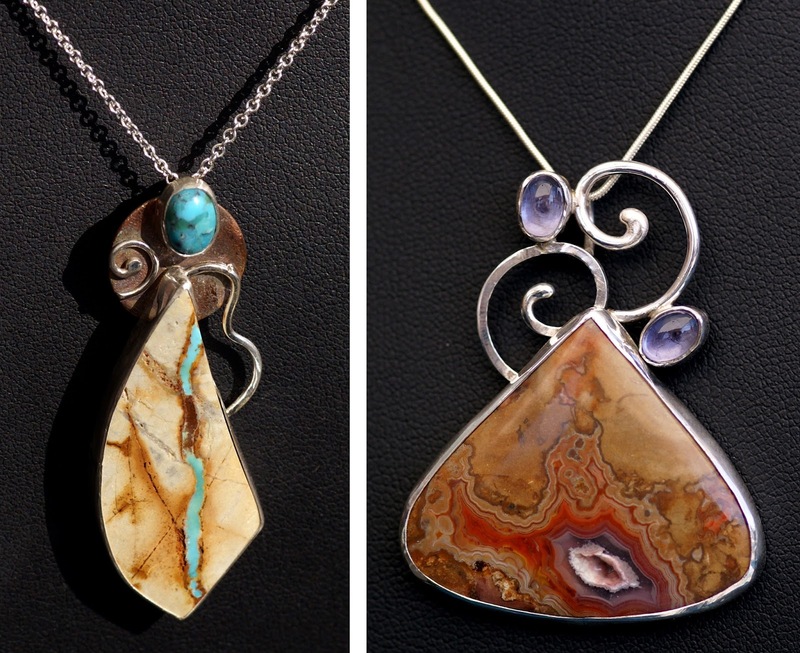 Every finished piece she produces shows off the metal and stones at their best. I personally love her line of reversible pendants with a wonderfully framed stone set in silver on one side and a clever pattern of cutouts on the other with bits of the stone showing through. It's almost like having a little secret, but better than a locket because no one expects what you're art jewelry is hiding on the other side! The key to successful silversmithing is the multi-step process. You can't cut corners, but why would you want to! If you're like Lacy who has a passion for getting into the flow of making her art, you'll understand what it takes to end up with truly stunning pieces. Of course, inspiration is also an important element. It is Lacy's talent coupled with her vision that yields jewelry anyone would be happy to wear. She's spent much of her life in Texas and draws her ideas from the magical natural surroundings you can find across our great state! She introduces a fair degree of abstraction, but the spirit is still there. This is what the work of a strikingly savvy silversmith looks like!